Cheap electrical work doesn't always save you money. Home / Cheap electrical work? Does a “cheaper” price equal a better deal on electrical work? No, a “cheaper” price usually means that corners have been cut to save money. Many homeowners make the false assumption that they are saving money by hiring unlicensed contractors to do cheap electrical work. Quite often the cheap electrical work done by a “handyman” or other unlicensed contractor ends up leading to additional costs when it has to be repaired or replaced by a Licensed Electrician. If any contractor hesitates or resists a request to show a customer these documents before work begins or any payment is made that is a red flag and an indication that the contractor may not be fully licensed or insured for that kind of work. In Georgia, verifying a state-issued Professional License is easy. Any company doing electrical work in the state of Georgia must be appropriately licensed and insured to do so. To be insured for doing electrical work a current Electrical Contractor License is required. If you have any doubts or questions about your contractor’s insurance coverage simply ask your contractor to have their insurance agent fax or email you proof of current Liability Insurance. What are the dangers of hiring unlicensed contractors? If a contractor is not licensed, they are likely not insured. If a contractor is not licensed, they likely do not have the experience or education required to receive a license. If a contractor is not licensed, they likely do not have the proper tools to do electrical work safely and correctly. If a contractor is not licensed, they likely do not have thorough knowledge of the electrical codes that ensure safe work. If a contractor is not licensed, they likely do not have an account at an electrical supply house and often use the wrong parts and materials. If a contractor is not licensed, they cannot pull permits required for many projects. If a contractor is not licensed and insured, the homeowner may be liable for damages or injuries resulting from unlicensed work. When the unsafe or faulty work is done by an unlicensed contractor is discovered, the homeowner has to pay to have the work repaired or replaced. The cost of repair is often more than what it would have cost to have it done correctly by a Licensed Electrician the first time. Cheap electrical work can be dangerous! 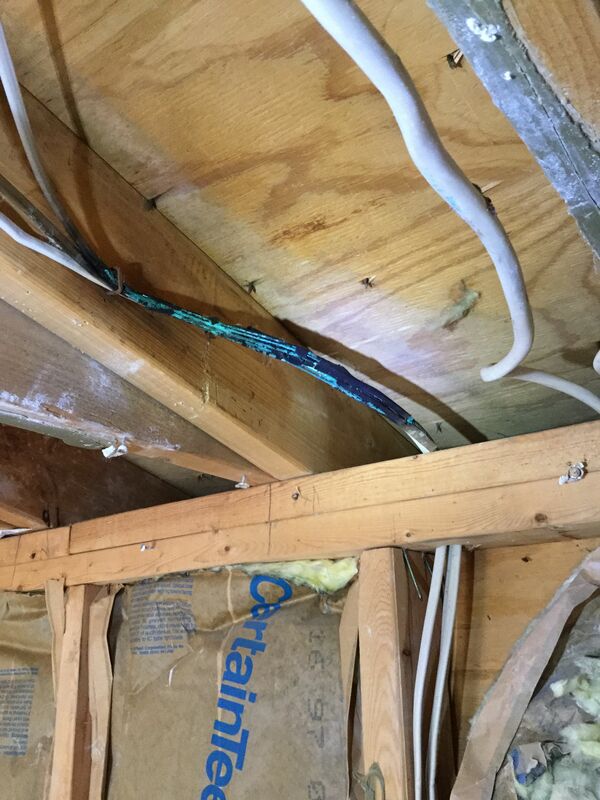 Below are some photos taken of damaged and unsafe wiring done by unlicensed contractors. Cheap electrical work done by unlicensed contractor. 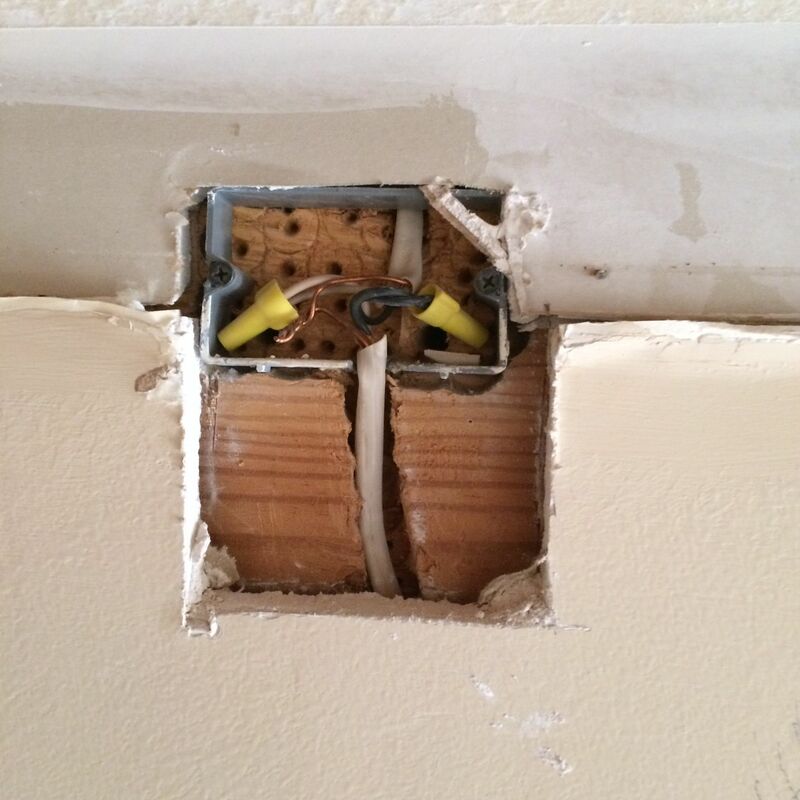 This unsafe junction was buried behind drywall and trim. These burned wires are from a kitchen that was remodeled with no permits or inspections. 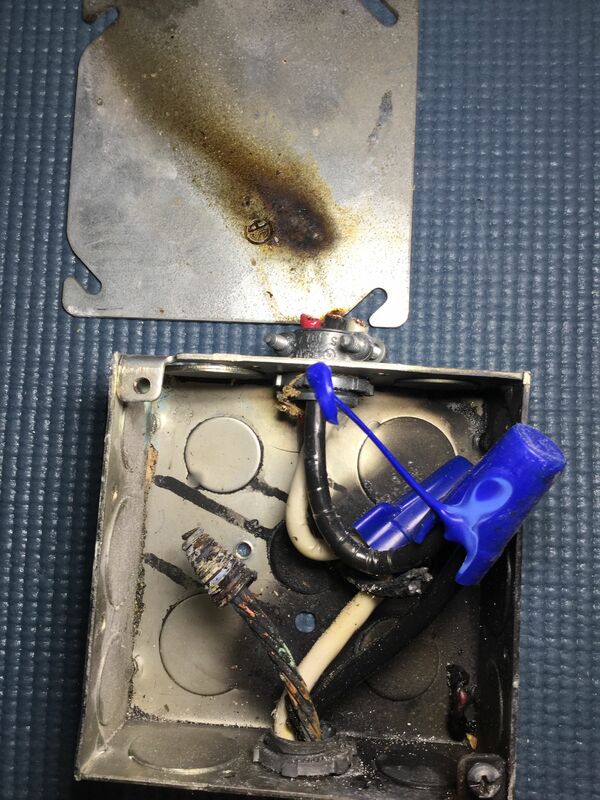 This wiring burned less than a year after it was installed by an unlicensed contractor. The box was buried in the wall behind kitchen cabinets. Looking for a Licensed Electrician in Buford?